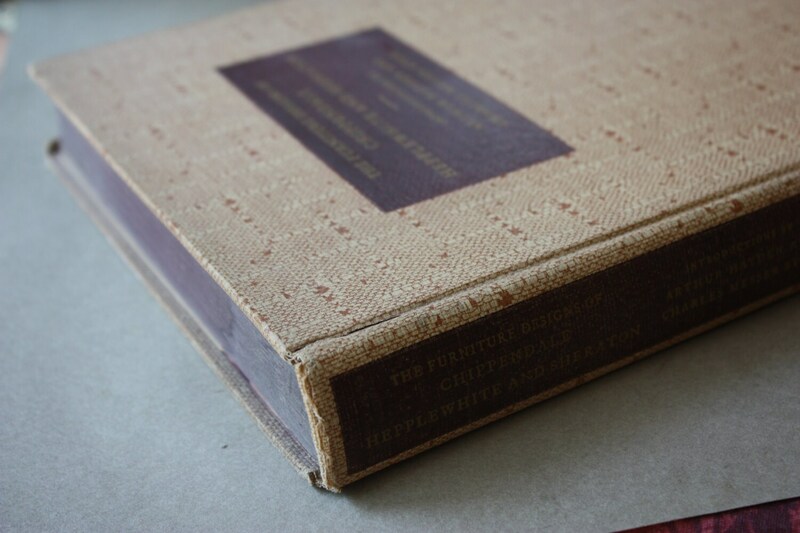 The Furniture Designs of Chippendale, Hepplewhite and Sheraton is an important work arranged by J. Munro Bell with an introduction and critical estimate by Arthur Hayden and an essay by Charles Messer Stow. 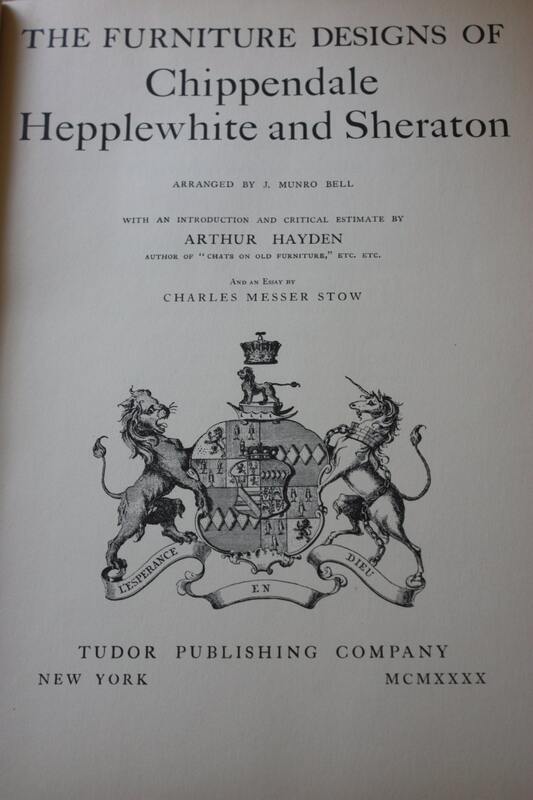 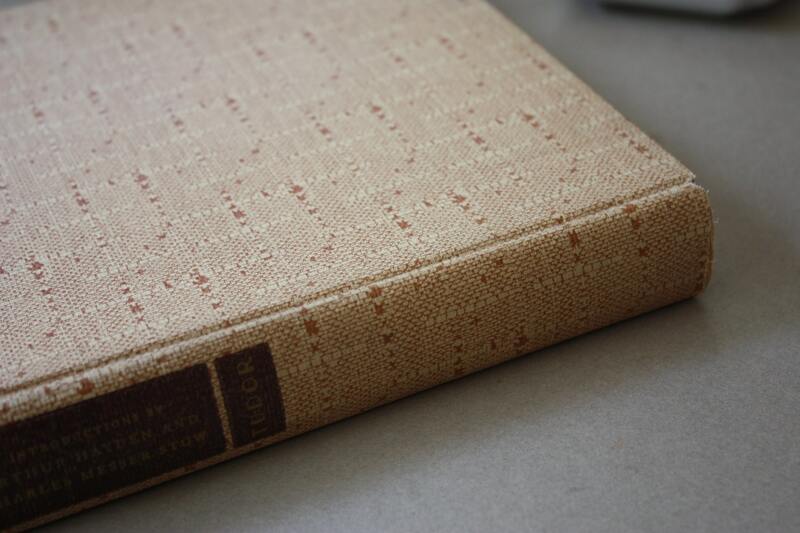 This 128 page book was published in 1940 by Tudor Publishing Company of New York, and it was copyrighted in 1938 by Robert M. McBride and Company. 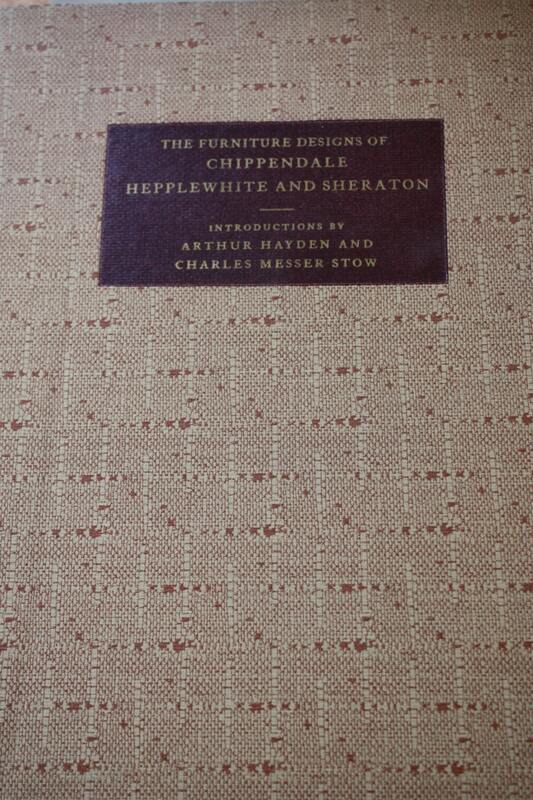 The contents include: "The Influence of the Great Georgian Designers," "General Introduction," "Thomas Chippendale," "The Gentleman and Cabinet-Maker's Director," "George Hepplewhite," "The Cabinet-Maker and Upholsterer's Guide," "Thomas Sheraton," "The Cabinet-Maker and Upholsterer's Drawing Book," and "Designs for Household Furniture." 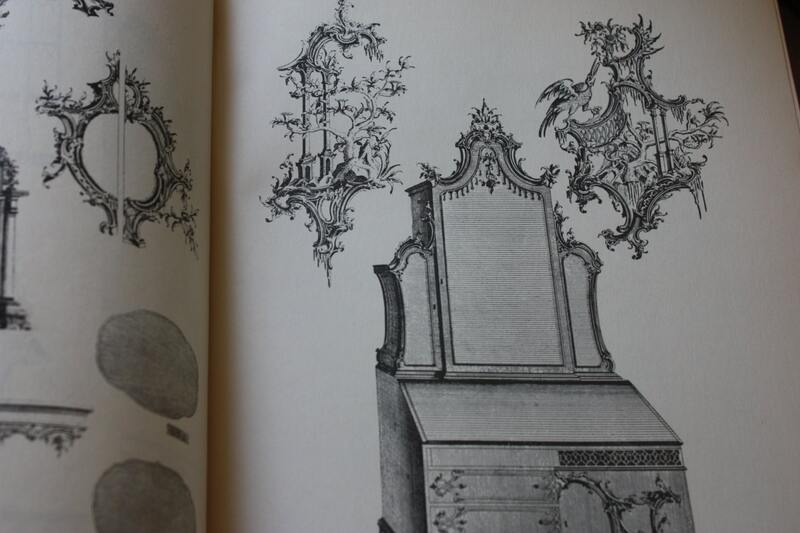 There are black and white illustrations throughout, and book is in good condition without the dust jacket.